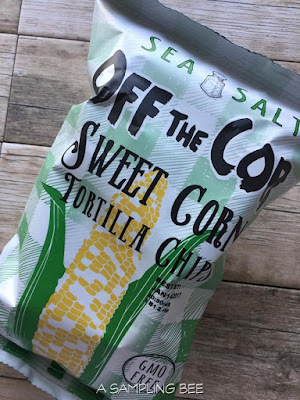 A Sampling Bee: Off the Cob Chips Review & Giveaway! Welcome to A Sampling Bee. Today, I share with you Off the Cob Chips! Off the Cob Chips are made with fresh corn. They are non-GMO and gluten-free. They're seasoned with a little bit of sea salt. Just enough to balance out the sweetness of the chips. Serve these all-natural chips at your next party. With some salsa or guacamole! These sweet tortilla chips were created by Cameron at the age of 22. Him and his family has been growing sweet corn since 1960, in Ithaca, NY. Each ear of corn is handpicked at its peak. Cameron is a third generation farmer. This inspired him to create Off the Cob Chips! Off the Cob Chips launched in 2012. In 2012, Cameron won $20,000 from Babson's College business plan competition. 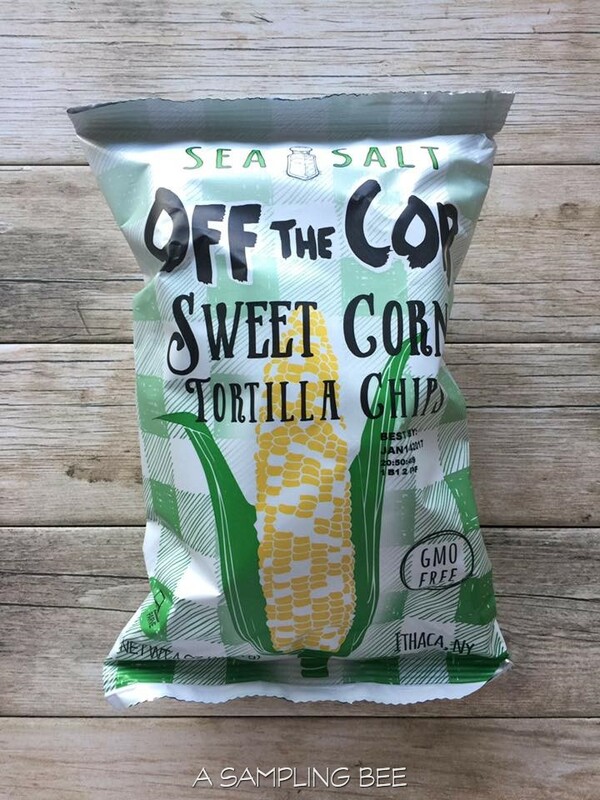 He raised $15,00 on kickstarter and had his chips in 20 Whole Foods stores in New England. 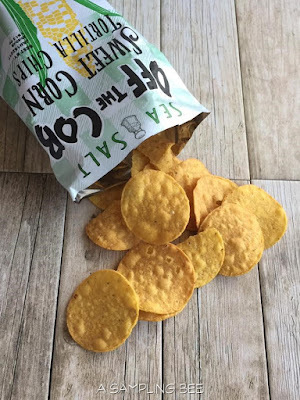 In 2014, Cameron brought on his partner Molly and Off the Cob Chips were featured on Shark Tank! This dynamic duo is dedicated to making a simple snack using REAL corn! I received free samples in exchange for my honest review. All opinions are my own. Always! 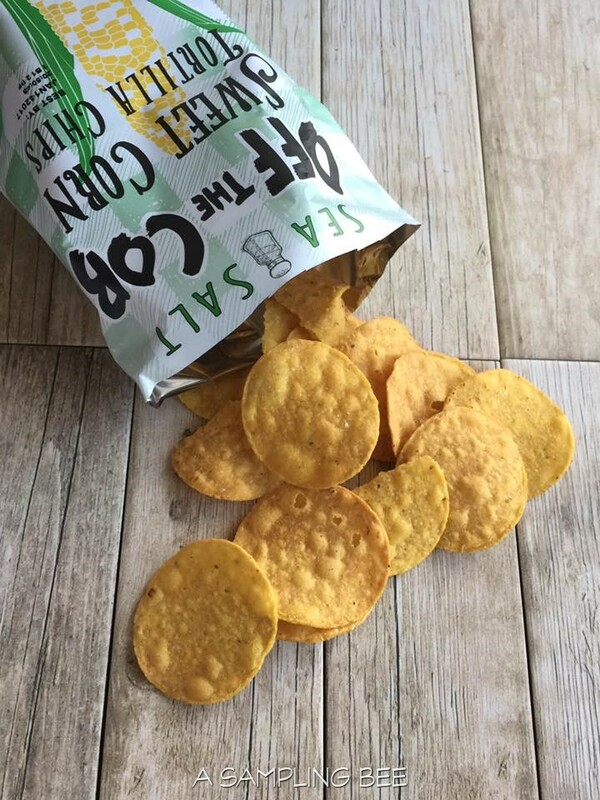 Enter to win six(6) bags of Off the Cob Chips! One winner will be chosen and contacted via email. Winner must respond within 48 hours or a new winner will be chosen. Prize fulfilled by Off the Cob and shipped by A Sampling Bee.